When Viktor Johannessen was skating on a frozen lake in Sweden on a clam afternoon, he saw an unpleasant sight. 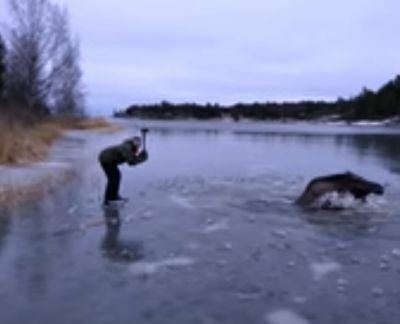 An exhausted moose trapped in the shallow frozen waters of the lake. The moose was violently trying to break free from the icy cold water.